Very popular and essential to the CCTV industry. Wireless security cameras require no wires between the camera and the receiver making it easy to install and to move from one location to the other. The user friendly installation can save on installation without the worry of complex wire runs, the wireless capability also gives the capability for wireless hidden cameras, such as nanny cams for peace of mind. A wireless surveillance camera you can save on installation and worry about lengthy or complex wire runs. 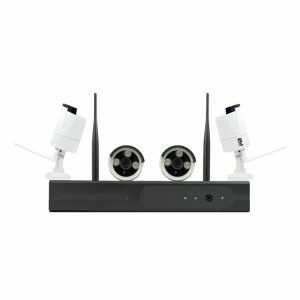 Also, wireless security cameras give you the ability to incorporate video surveillance in discrete areas where other security cameras would be difficult to place. Whether packaged as a part of a home security camera system or sold as a standalone surveillance solution, wireless hidden cameras are perfect for monitoring the behavior of employees, children and anyone else who has access to your property. Dedicated wireless router Built-in, for safer and more reliable transission. Unpack and play when power on, without configuration for live video.